Today, we dedicate our Couple's Spotlight post to LH couple Victoria and Philip! The pair, who booked with us back in January, are still months away from their April 2017 wedding, but we just couldn't wait to share their sweet story! 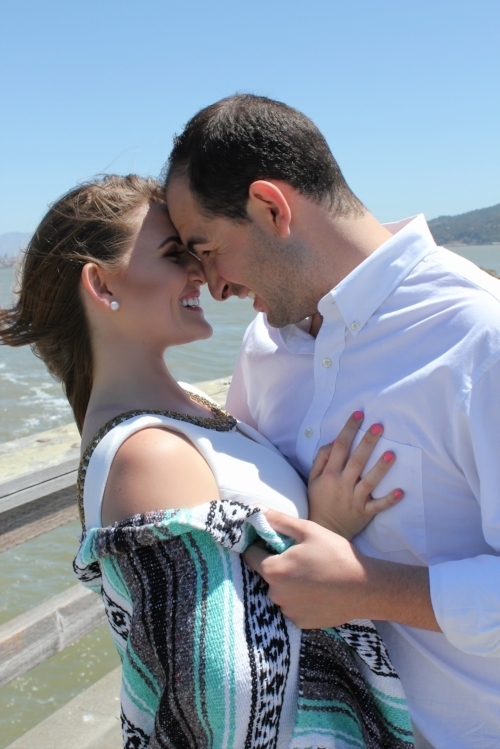 Read on to see how the two met and why they chose The Lighthouse for their big day! 1) How did you and Philip meet? Philip and I met at the University of the Pacific when we were pursuing our BS in Biochemistry while in Microbiology. 2) What's the proposal story? Philip proposed while in Puerto Vallarta on the balcony of the condo at La Palapa overlooking the ocean during the most beautiful sunset on November 24, 2015. 3) What made you decide to book The Lighthouse for your big day? We fell in love with the Lighthouse the moment we saw it. It captures both of our personalities (old world charm = Victoria, with a modern flair = Philip). We also particularly loved that it was at the marina and near the water which captured our love of the sea. 4) What are you most looking forward to about your wedding? We are most looking forward to celebrating our love with our closest family and friends while making memories that will last us a lifetime. We are so excited to see how V+P incorporate their personalities into their decor, and transform our beautiful venue for their their big day here at the Lighthouse come April!